Facilitating trade at Arab Health. Developing digital content at Farnborough International. Installing a 13m screen at Mobile World Congress. Hosting VIPs at the Export Strategy Launch. We are proud to be the official events supplier to the Department for International Trade (DIT), responsible for their core events programme. In July 2017 we secured the biggest win in the history of the Bray Leino Group. 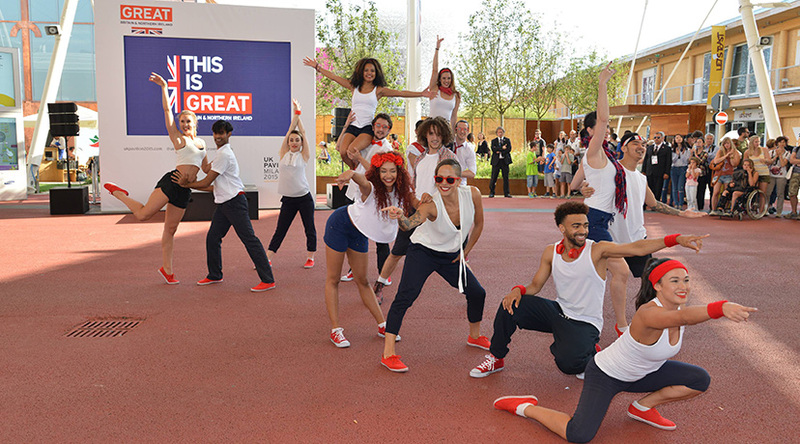 Winning six contract lots for DIT means our team will deliver around 1,200 international high-profile events over three-years, helping to promote British trade around the world. Big contract wins like this need vigorous mobilisation plans, large delivery resources, robust processes and a lot of creative planning. No small feat to shuffle, recruit, train and deploy over 30 dedicated, in house, event specialists in a short timescale. Tried and tested processes were fine-tuned and developed into the “Blueprint” – a series of well-oiled operating procedures. We continue to devote senior leadership and creative time from across the group. We ensure all DIT events, no matter how big or small, exceed business objectives whilst achieving real impact and showcase the best of the UK to international audiences. Bray Leino has been an official supplier to the Crown Commercial Services for over 10 years, delivering a range of work for public sector organisations including the ONS, Royal Mint, the NHS and Innovate UK. As part of this, the Bray Leino Events team have delivered successful projects for DIT, BEIS, UK Space Agency, HS2 and the NCSC.